Giddy-Up & Go 4-H Horse Club members filling bags with manure. 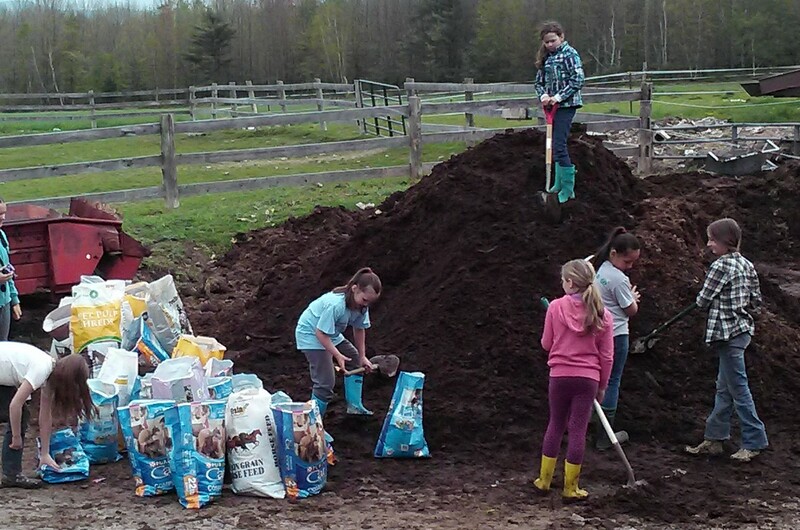 NEW SHARON - The Giddy-Up & Go 4-H Horse Club will hold its annual certified organic manure sale fundraiser on Saturday, May 11, at Triple D Acres, 219 Weeks Mills Rd, New Sharon. This is the club's major fundraiser of the year. All proceeds are used to support this very active club as they learn all about life with horses. The manure sale is from 9 a.m. to noon. prices are $5 per regular bag, $6 per larger bag, $25 per tractor bucket load.